Mother Daughter Book Reviews, in collaboration with the fabulous sponsors listed below (award-winning authors / publishers), is pleased to be coordinating a giveaway for a Kindle Fire HD Kids Edition 7" Tablet (+ $50 gift card/cash). 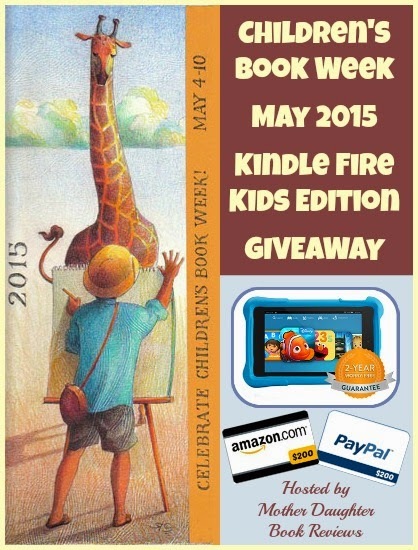 This giveaway will take place from May 1 to 31, 2015, overlapping with Children's Book Week (May 4 to 10, 2015). We hope that you will share this amazing giveaway with your friends and family! 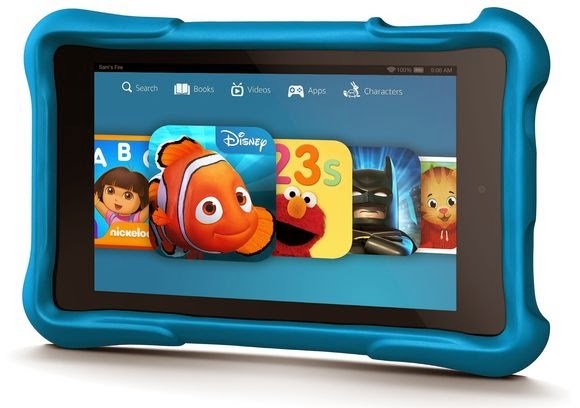 The Kindle Fire HD Kids Edition Tablet also comes with 1 year of Amazon FreeTime Unlimited (which means kids get unlimited access to 5,000 books, movies, TV shows, educational apps, and games—at no additional cost!). It includes a quad-core processor for great performance, a vivid HD display, front and rear-facing cameras, and Dolby Audio PLUS comes with a Kid-Proof Case, and a 2-year worry-free guarantee - if they break it, return it and Amazon replaces it for free. No questions asked! PLUS, we will also gift the winner a $50 Amazon gift card to help fill up their new Kindle with books! A big thank you to all of the participating children's authors and wonderful publishers who are sponsoring this Amazon Kindle giveaway. Below you will find their fabulous books. Please consider purchasing one, two or more children's books that interest you as a "Thank You" to these generous sponsors. Some books are free, others only 99 cents! ADDING BOOKS TO WISH LIST ON AMAZON: Hint...if you scroll to the bottom of the list on Amazon, you will see a button "Add All Items to Your Wish List". One click is all it takes! ADDING BOOKS TO "WANT-TO-READ" SHELF ON GOODREADS: If you do not see the column entitled "my rating", click on "settings" and make sure that the "shelves" box is checked. This will make it super-easy to add the books to your "to-read" shelf.